by Vanessa Sielert, alto saxophone and Kristin Elgersma, piano. Also available for Oboe and Piano. Also available for Violin and Harpsichord. Also available for Viola and Harpsichord. and probably a number of other pairings, too! Audio clip of Scherzo performed by Beatrix Klein. 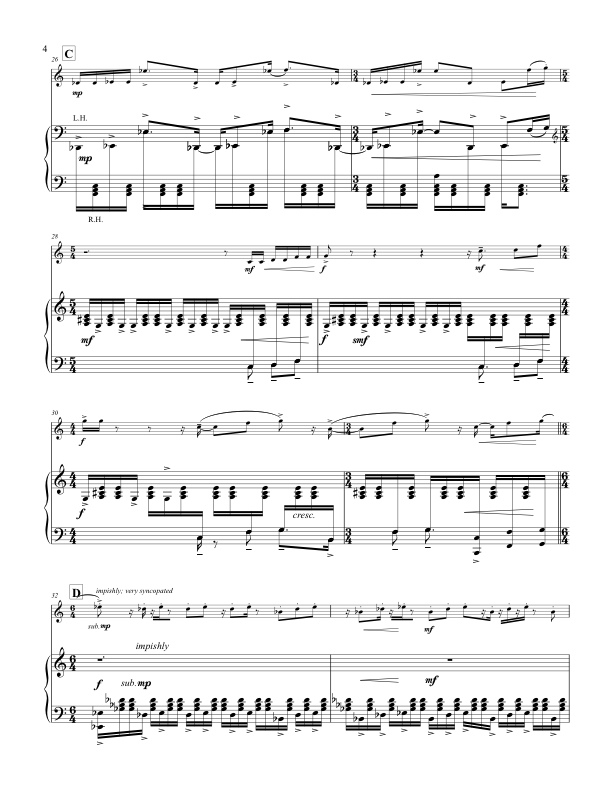 New American Piano Music (innova 552). Click CD for more info. 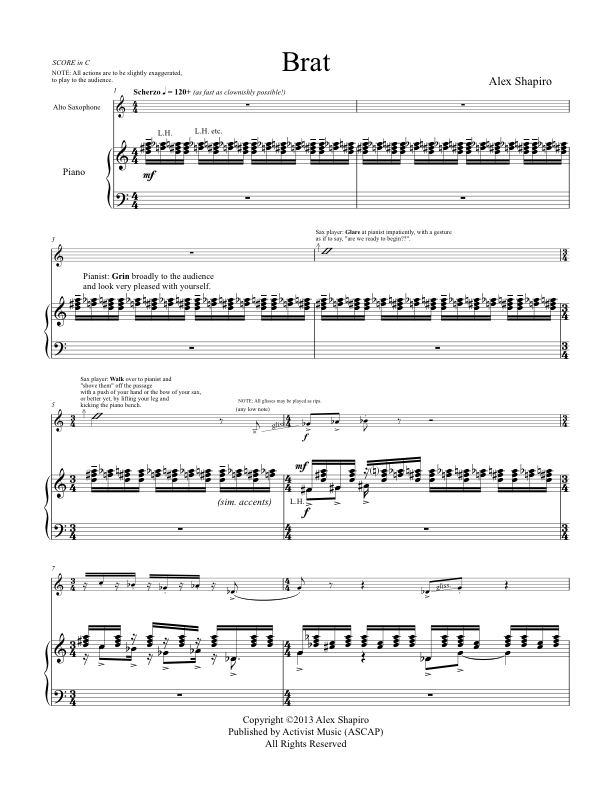 Score and part available from Activist Music for $25.00 print, $17.00 digital. Brat is an encore showpiece that features something rare in concert music: physical comedy! After the two minutes flat in which the duo plays-- and, acts-- "as fast as clownishly possible," the audience may go home thinking that they just went to the circus with the ghosts of Sergei Prokofiev, Bela Bartok and Victor Borge.